50-State Guide to Forming an LLC. Everything you need to know to form an LLC in any state. Provides electronic signature technology and digital transaction management services for facilitating electronic exchanges of signed documents. DocuSign provides authentication services, user identity management and workflow automation. Generates and stores legal documents for early stage companies. 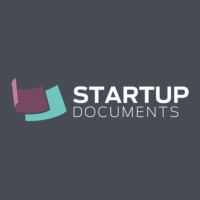 Whether you need to incorporate, grow or maintain your startup, Startup Documents provides a quick, affordable and secure solution for your legal document needs. An online legal technology company that helps its customers create an array of legal documents without having to necessarily hire a lawyer. Available documents include wills and living trusts, business formation documents, copyright registrations, and trademark applications. A legal resource provided by Albany Law School. Direct legal services representing not-for-profits, small businesses, and community groups on a variety of transactional matters, including entity formation, governance, contracts, leasing, and loan/related financial closings.